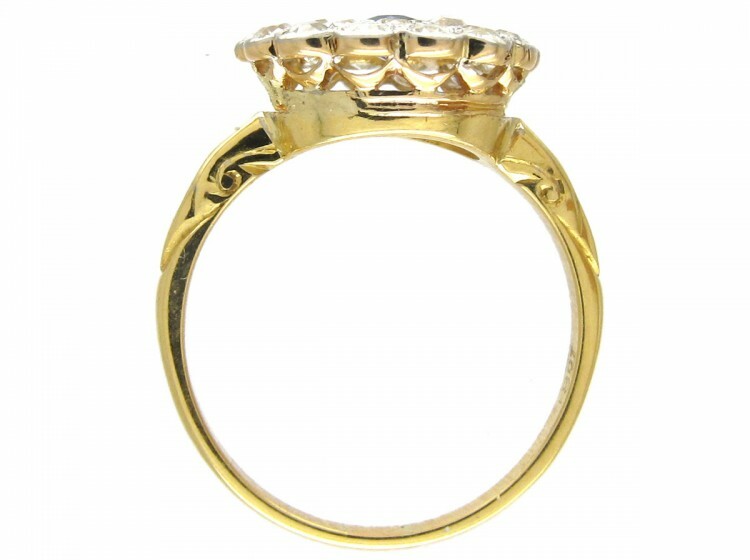 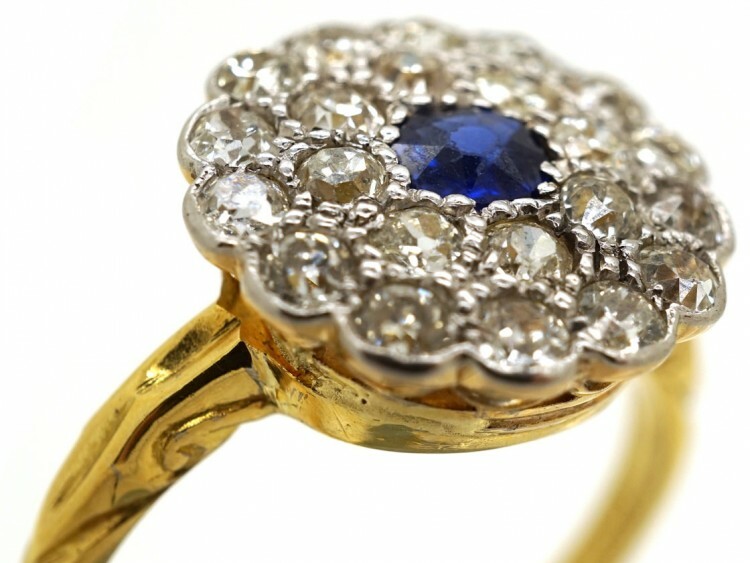 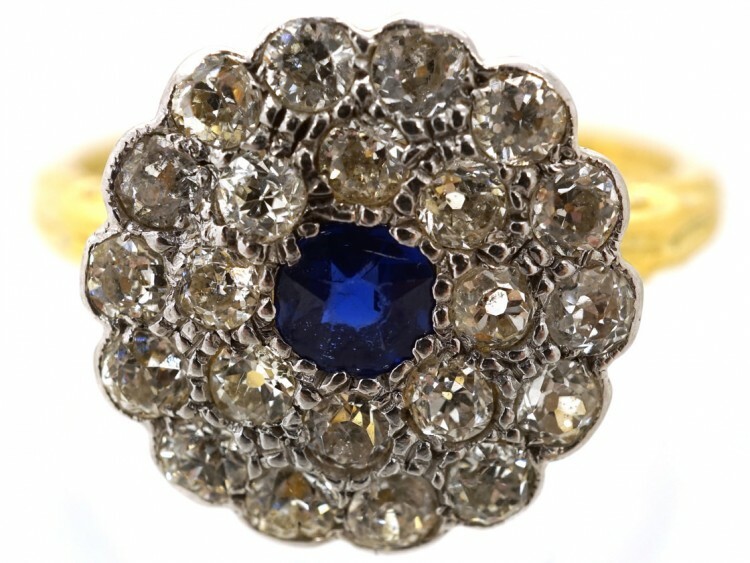 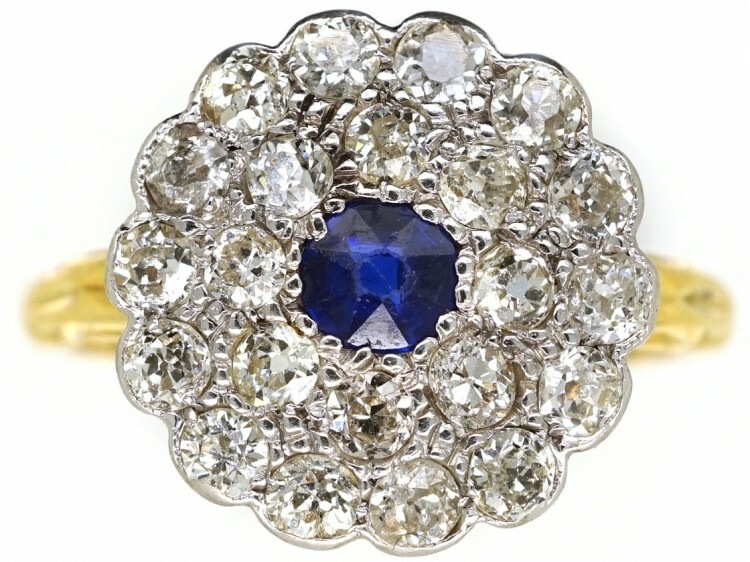 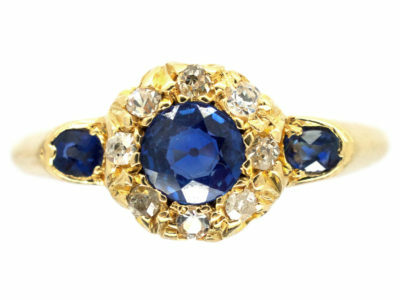 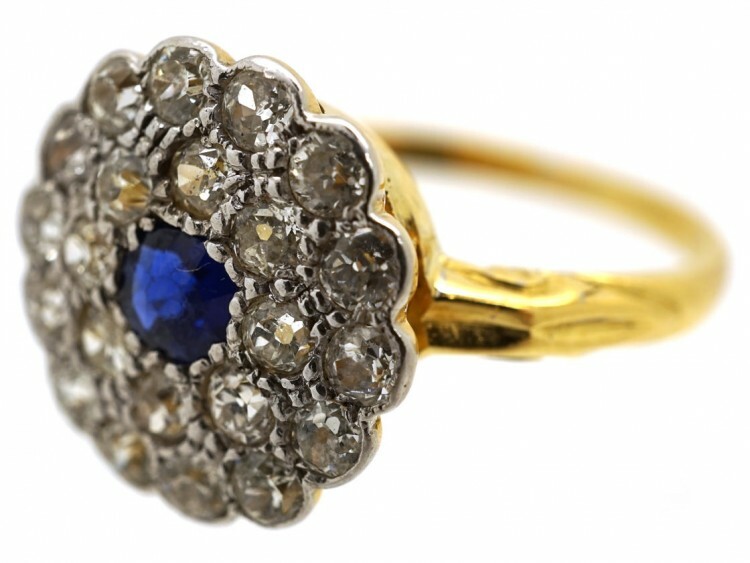 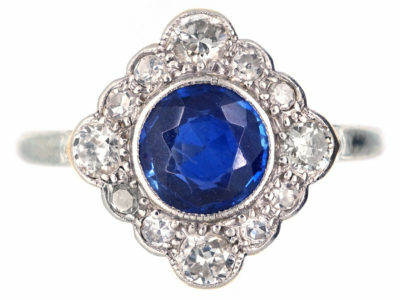 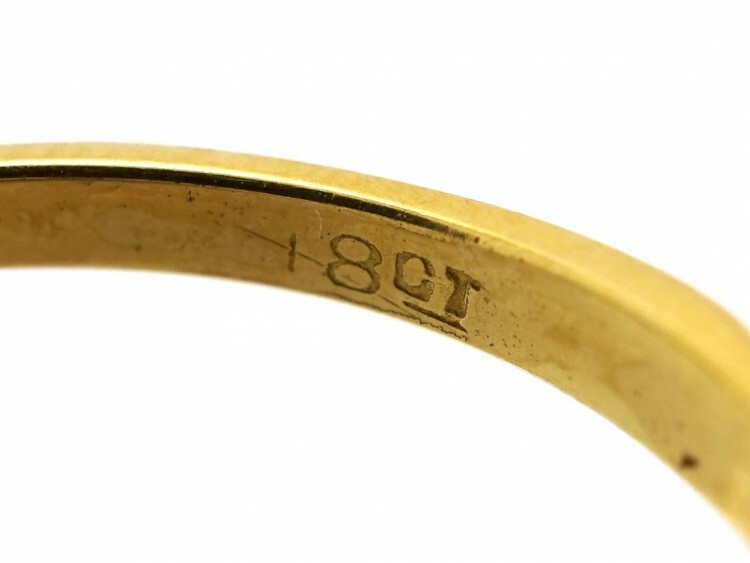 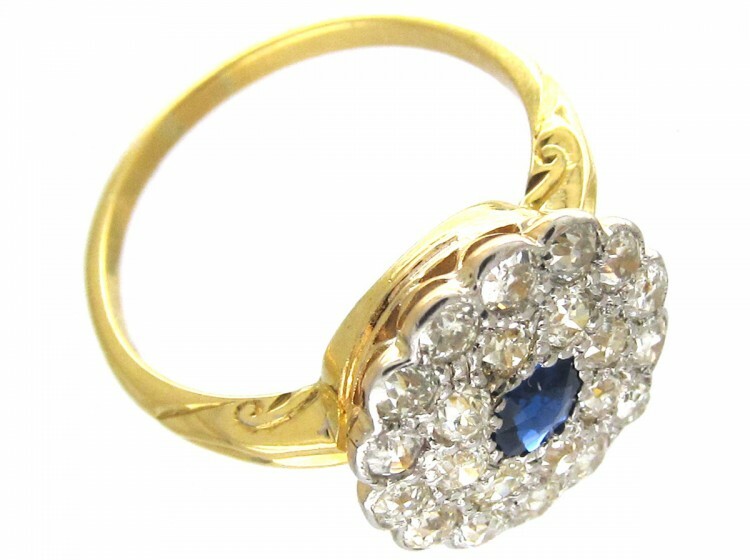 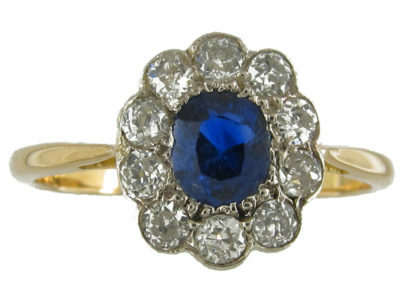 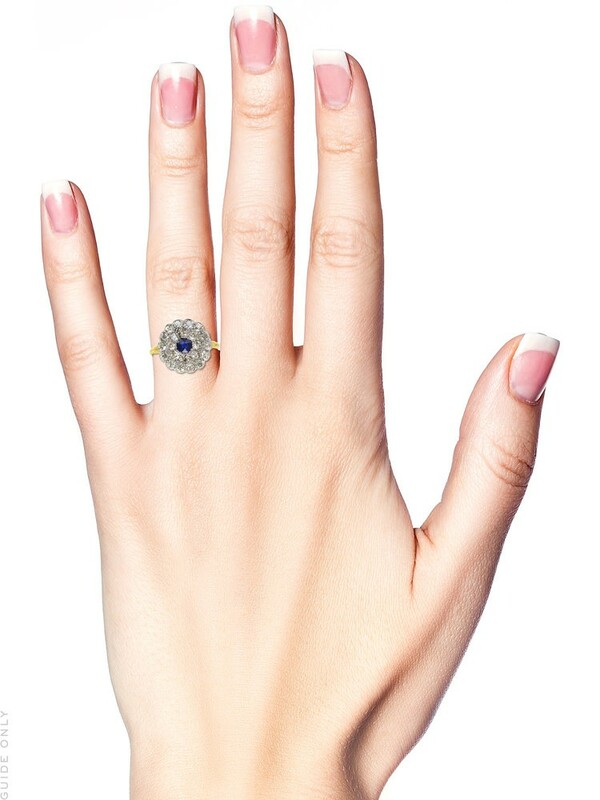 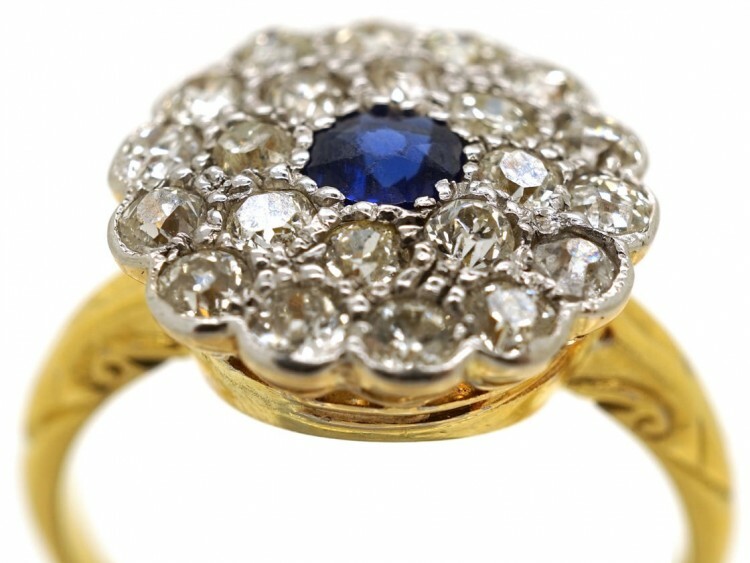 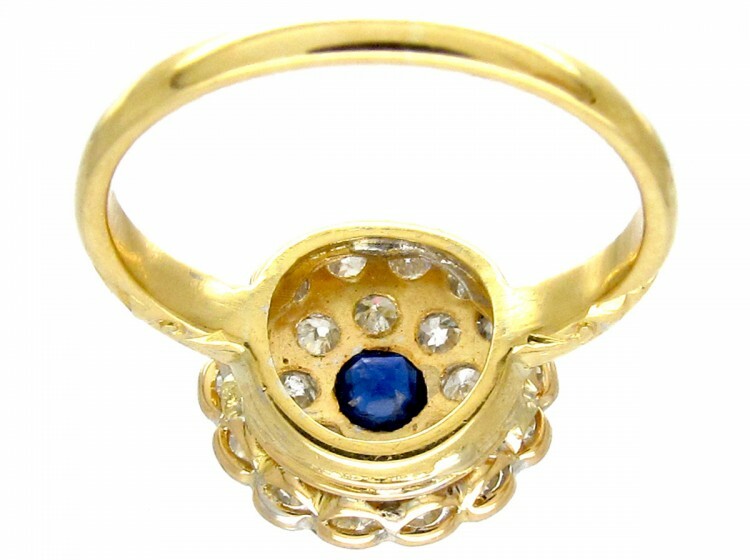 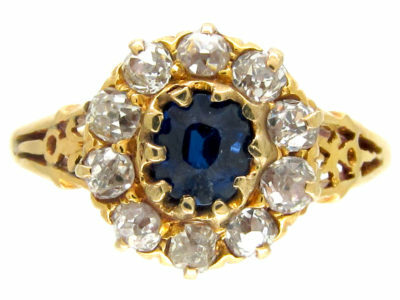 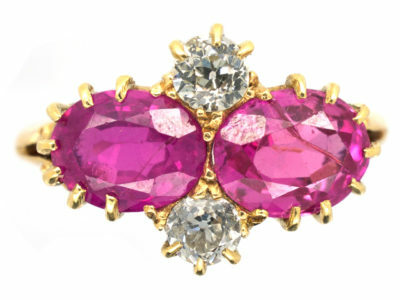 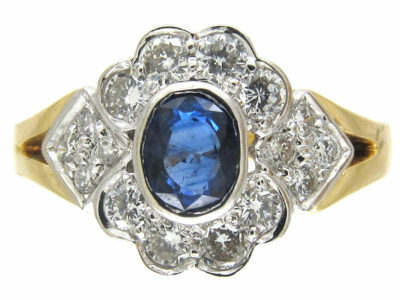 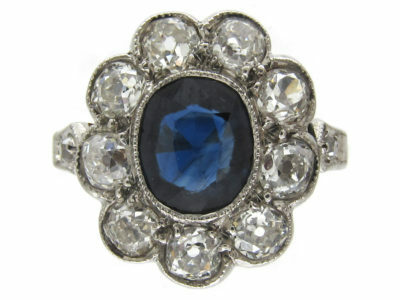 A lovely 18ct gold ring which is composed of two rings of diamonds with a central Burma sapphire. 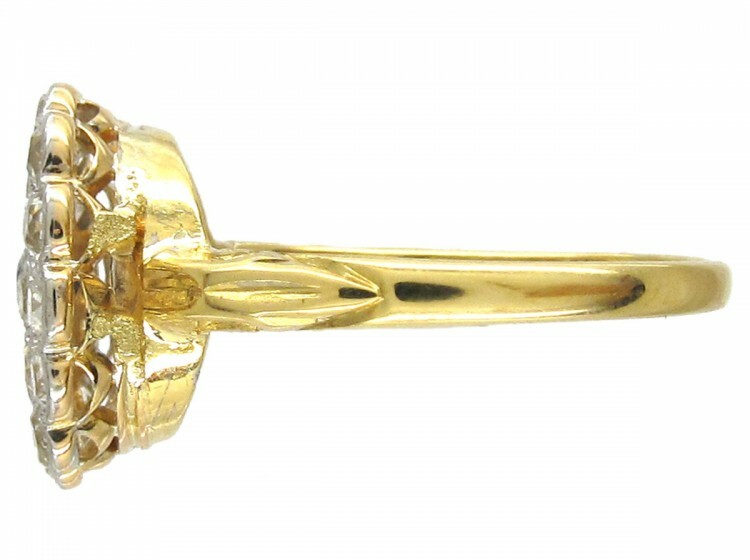 The top is platinum and the shank is 18ct gold. 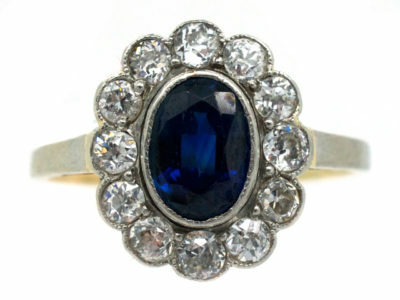 It was made circa 1910-1920. 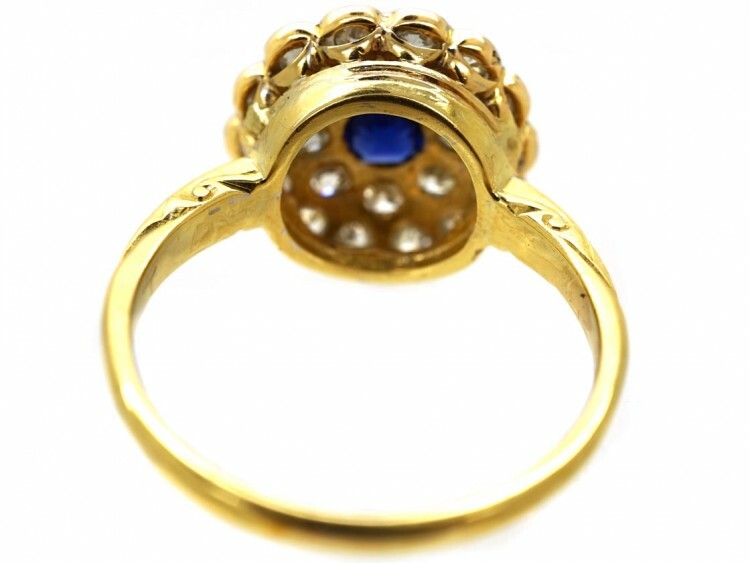 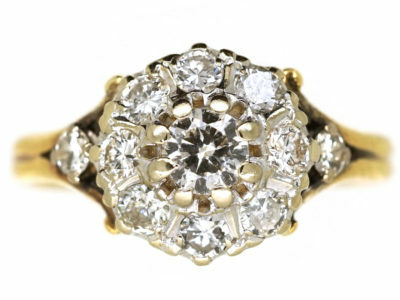 It is an unusual design and would make a wonderful engagement ring. 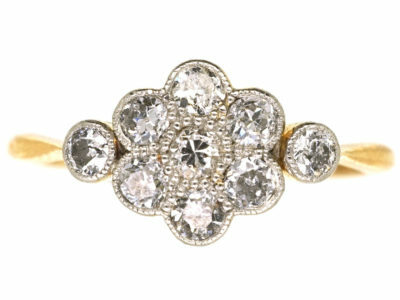 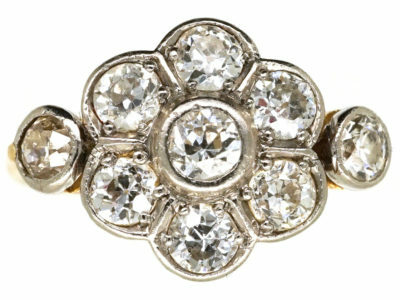 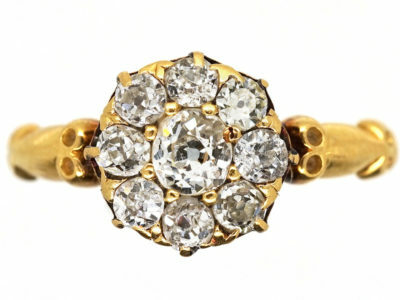 Sparkly and very pretty ring!